Mother Teresa walked the streets of Calcutta (and other cities), lending care and aid to “the hungry, the naked, the homeless, the crippled, the blind, the lepers, all those people who feel unwanted, unloved, uncared for throughout society, people that have become a burden to the society and are shunned by everyone.”* Clara Barton, not only braved the dangers of Civil War battlefields as a nurse and humanitarian (eventually initiating the creation of the American Red Cross), but also fought along with other suffragettes, including friend, Susan B. Anthony, to bring equal rights to women. Like Barton, Florence Nightingale walked the battlefields (during the Crimean War) and fought for better conditions for sick and dying soldiers. 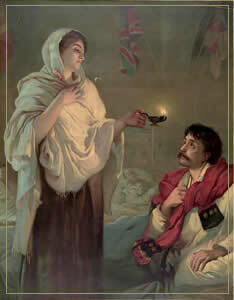 Known as the “lady with the lamp,” due to her solitude walks through the sick wards late at night, Nightingale brought kindness and compassion to those in her care. These great women epitomize the humanitarian call to help those who are sick, poor, or otherwise in need. Their heart for helping others lives on amid those writers I refer to as “Florence Nightingales.” Their impassioned calling to help children, animals, the sick, the disabled, and the impoverished, as well as their work to heal the earth and its resources, drives them to fight injustices and other wrongs to which society has turned a blind eye. For some, their results become the makings of a book, while for others, it’s simply something in their nature residing alongside their other life callings. 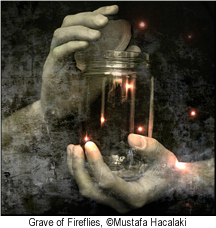 Perhaps as a child you remember hunting for fireflies at dusk, capturing them in mason jars, punching holes in the lid, and watching them glow as they blinked on and off in the jar. Some children released them by night’s end so they could continue to light up the night. Some children forgot, and their fireflies died in the jar. This is what some authors do too. 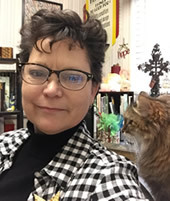 I am a publishing professional with over twenty years experience in assisting with a book’s delivery from manuscript to printed book—including interior and cover design, creating files for the printer, guidance with paperwork and filings, ebook creation, market messaging, and more. If you are seeking help in creating a profitable, quality product, I’d be happy to discuss the details with you at no charge during a Publishing Assessment call.